I am not a huge sweets person, but I love a good chocolate chip cookie. 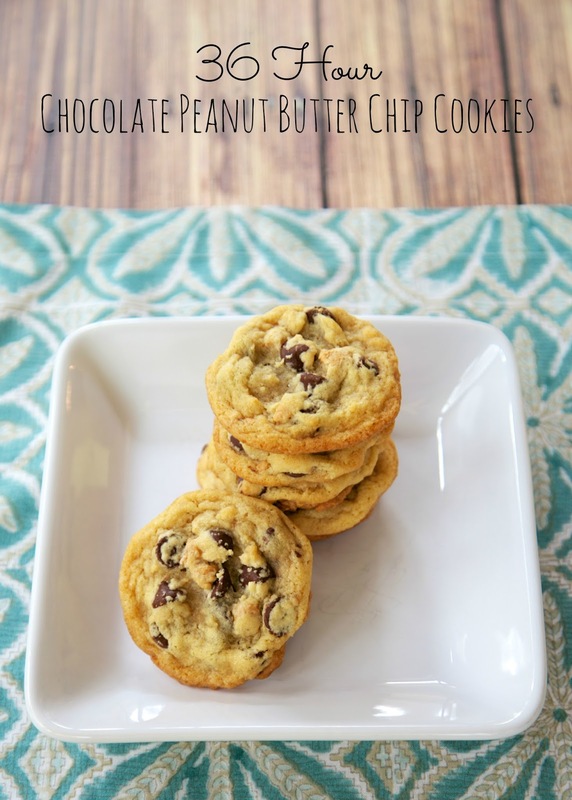 This recipe is adapted from the famous NYT Chocolate Chip Cookie recipe. I love it because it uses cake flour and bread flour instead of all-purpose flour. I never have enough recipes to use up a box of cake flour. I loved every single bite of these cookies. They are crispy on the outside and chewy on the inside. They had the perfect combination of peanut butter and chocolate in every cookie. If you aren't a peanut butter fan (we can't be friends), you can always use all chocolate. Feel free to mix up the chips - white chocolate, dark chocolate, or butterscotch would be good! The hardest part of these cookies is letting them chill out in the fridge for 36 hours. You can shorten that time to 24 hours or lengthen it to 72 hours. Whip up the dough and bake them when you are ready! Cream butter and sugars together until very light, about 5 minutes. Add eggs, one at a time, mixing well after each addition. Stir in the vanilla and almond extract. Reduce speed to low, gradually add dry ingredients and mix until just combined. Mix in chocolate and peanut butter chips. Cover bowl with plastic wrap, pressing plastic wrap against dough. Refrigerate for 24 to 36 hours. Using a medium cookie scoop (2 Tbsp), scoop dough and place on a parchment lined sheet. Bake for 10-12 minutes. Cool on rack. Serve with a big glass of milk! How many cookies does the recipe make. It sounds like a big batch. Sounds like my kind of cookie! I love your mention about liking the recipe because you always have left-over CAKE FLOUR. So now I have the same situation and can't wait to make these......woops......now I have to go out and buy BREAD FLOUR. I don't make bread so I will be on the lookout for bread flour recipes. Or, I can always make tons of cookies and that might be fine too. 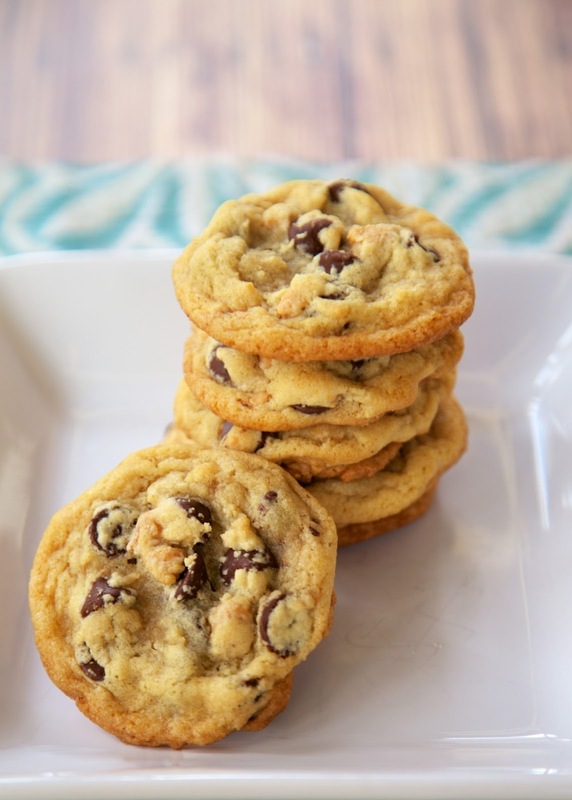 The chocolate chip version of these cookies are good, but I don't understand what the big deal is...they aren't out of this world or extraordinary or any better than my usual recipe. They just take 3 days to make instead of an hour.